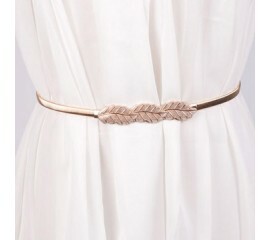 Metalic gold belt made from metal and synthetic leather. Gold colour. ..